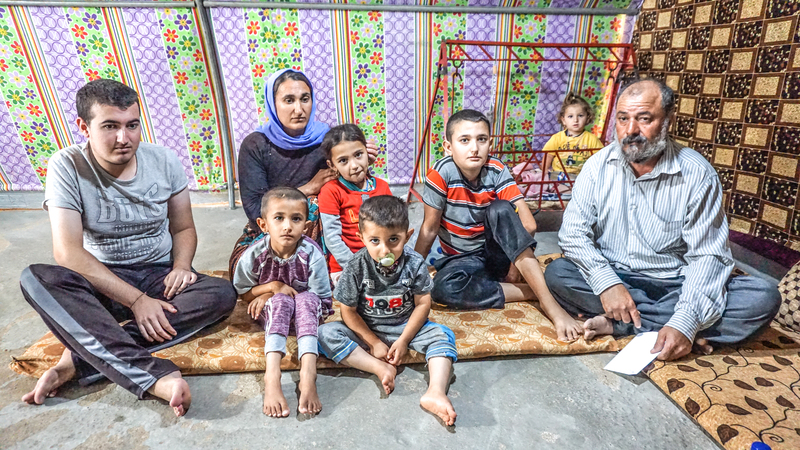 Tahsin is a 13 years old Yazidi girl and Delho is her cousin, a 9 years old boy. They are both from Telazer in Sinjar. They spent 7 days fleeing from ISIS over Sinjar Mountain to Kurdistan on the back of a Donkey in 2014. 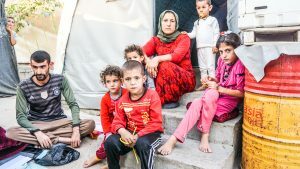 Tahsin and Delho now inhabit Kabertoo Camp overcrowded with approximately 30,000 other Yazidi IDPs. 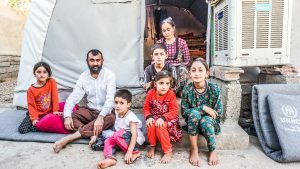 Tahsin lives with 9 family members in two very simple tents, and Delho also shares a simple tent with his big family, none of whom have regular work. Therefore, Tahsin and Delho are completely dependent on the 16 USD per person a month they receive as IDPs support. Tahsin and other 4 members of her extended family suffer from Hemophilia. Delho is affected by Thalassemia. These diseases are hereditary disorders. Hemophilia impedes the body’s ability to create blood clots and Thalassemia causes the body to create abnormal forms or inadequate amounts of hemoglobin. Both are extremely dangerous if they go untreated. Considering so many family members are affected by these diseases, Tahsin and Delho’s parents are drowning in medical expenses. Specifically, they cannot cover the 300 USD in monthly bills, which includes transport to and from doctors’ appointments as well as constant blood tests and blood transfusions. Please donate to help them receive the essential medical care they require.